Join me tonight at 6:30pm, for the Opening Reception of FORMAL at The Art Center-Highland Park. 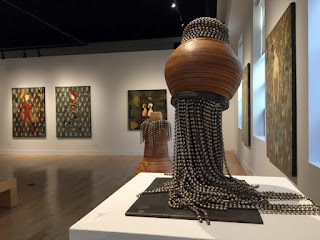 The show combines the work of four artists... husband and wife team; Igor & Marina, sculptor; Beth Kamhi, and still life painter, Carl Holzman. Elegant adornment is the constant in the works-of-art found in the galleries of The Art Center-Highland Park. The show is elegant with a masterful blend of modern and traditional—representational and the abstract. Each work-of-art presents a layering of ideas with a visual outcome of formal elegance. The word “formal” brings to mind a sense of graceful sophistication. It is special—proper. It is sometimes historical, ceremonial and ritualistic—but the word always delineates importance. The artist’s methodical organization of form in space, offers yet another interpretation of the word. Both interpretations apply to the exquisite fine art presented in FORMAL. 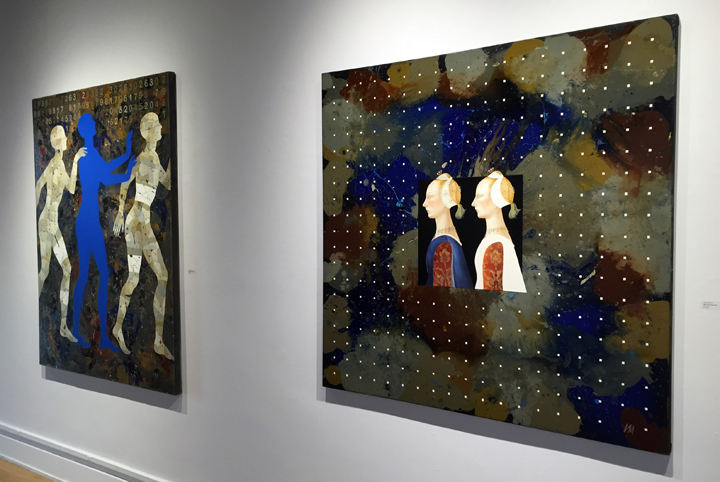 Igor and Marina, Walkers VIII (In Blue), oil on canvas, 64 x 48" and (right) Tiny Squares 260, oil on canvas, 50 x 50"
With imagery influenced by the artists of the Italian and Dutch Renaissance, husband and wife team, Igor & Marina, collaborate to create iconic imagery. Igor—a colorist—focuses on materials and abstraction while Marina manipulates the figurative imagery. Combined, the duo produce iconic paintings offering metaphoric narrative. Positive and negative space, play an integral role in the paintings of Igor & Marina’s “Walker Series.” Flat color areas defining form, are juxtaposed with detailed renderings of the human form. Adornment is abundant as flat shape turns to pattern, bordered by whimsical brushstrokes of flowing color. 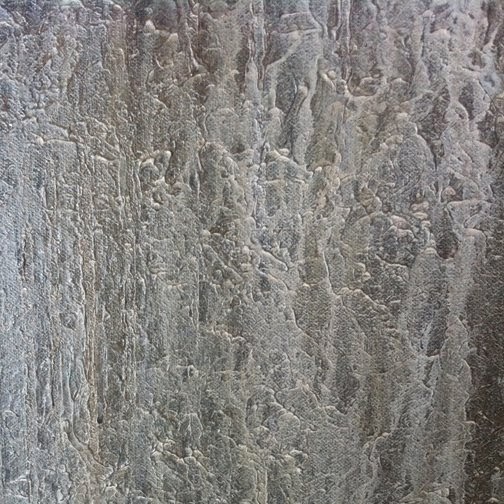 The paintings mix dimensions—yet remain flat—inviting the viewer to enter into a unique environment. 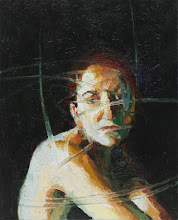 The comfortable familiarity of the carefully rendered figures, soften each image. 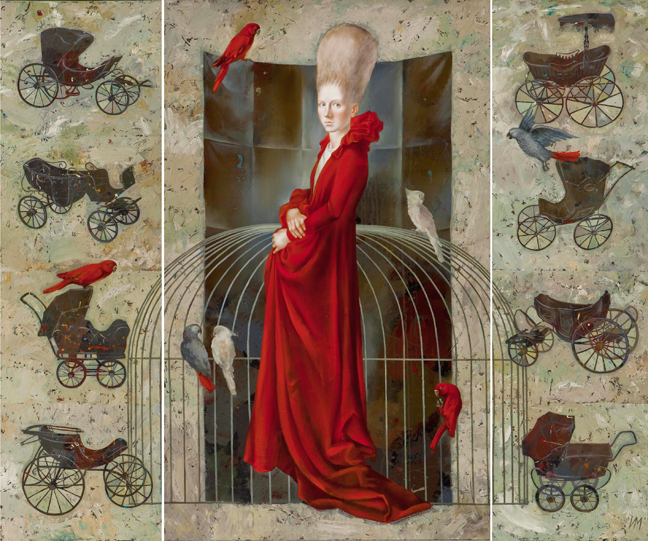 Igor and Marina, Red Queen, oil on canvas, 72 x 88"
“Red Queen” a triptych from a more recent body of work, begins to take a different compositional approach. The 72” x 88” canvas begins to address perspective yet the central figure remains the focus. The Queen—pregnant and draped in a red gown—floats in front of a vacant birdcage, flanked by historic imagery of baby buggies. She looks back at the viewer—acknowledging our presence. A variety of birds wander around the canvas taunting the Queen with their freedom. Ironically, the formal qualities of the painting differ from the Queen’s predicament. The wooded vessels and beaded sculpture of Beth Kamhi, offer yet another level of adornment to the exhibition. Kamhi uses a combination of turned wood and metallic beads to interpret classically modern vessels. The work finds a balance between the physical weight of the materials and fluidity—resulting in graceful elegance. References to fiber and fashion are evident. Carl Holzman, Ice, oil on canvas, 24 x 30"
Formal composition is clearly apparent in the nostalgic still life paintings created by Carl Holzman. Perfectly composed groupings of vintage and mid-century utilitarian objects—marked by the passage of time—are the subject of Holzman’s work. His passion for these historical artifacts is heightened by the use of theatrical lighting to emphasize the patterns and textures of the past. 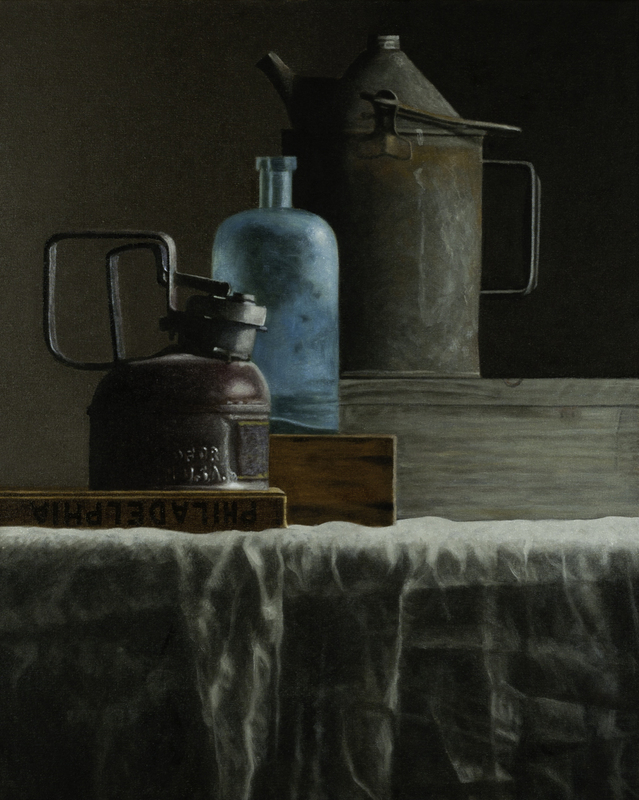 Holzman’s approach offers a contemporary perspective while using classic elements and formal composition. A public reception for “Formal” will be held at The Art Center-Highland Park tonight, from 6:30–9pm. The Art Center-Highland Park is located at 1957 Sheridan Road in Highland Park, Illinois. Gallery Hours are Monday through Friday from 9am–5pm, Saturday 9-4:30 and Sunday, by appointment. All work in the exhibition is available for purchase. The exhibition continues through January 2. Igor & Marina: Working as a husband-and-wife team, the Russian-born duo collaborates on each canvas, Marina contributing her impressive skills as a figurative artist in the Old Master tradition, Igor lending his refined sense of color, shape, texture and affinity for abstract images. As a result, the paintings are influenced by, and recall, a diverse spectrum of artists and eras: famous avant-garde figures like Chagall, Malevich, and Kandinsky as well as fifteenth-century Russian religious painters. Partly, this array of forbearers reflects the artists' educations: trained in rigorous Russian academies to appreciate both ancient and modern techniques, they learned to combine past and present with fluidity. In each of their canvases we sense a narrative implied, but we always fall short of piecing it together - it’s like waking up from a dream. And just as dreams synthesize all manner of seemingly disparate material into cohesive experiences, so Igor and Marina blend the modern and traditional, the representational and the abstract - and indeed their own divergent personalities - into each finished painting. Beth Kamhi (Born: NY 1956), is a Chicago Artist with a studio located in the Cornelia Arts Building in Chicago’s Roscoe Village. Currently Beth’s practice focuses on Site Specific, Collaboration and Commissioned Projects. She has a Textile, Fashion and Interior Design background from the Fashion Institute of Design. 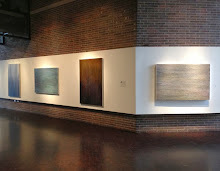 Beth’s work has been described as “Delicate, industrial and a sensual tapestries of woven steel beads,” “Inspiring works of sculpture to achieve a dynamic sense of tension through their provocative juxtaposition of style, content and form.” Her work has been exhibited in Museums, Galleries, Art Centers, Colleges, Public settings, Executive offices and Commercial spaces throughout the US. Actively participating in a collaborative art community; Beth is a co-founder of The Margin Gallery Collective (2006-2012) and 3D 12 Sculptors Group (2010-present) both with extensive exhibitions in the Mid-West region. Carl Holzman: Born and raised in Topeka, Kansas, Holzman pursued a career in corporate finance before taking early retirement to devote his time and energy to painting. Holzman's love of drawing and painting dates from childhood and adolescence, but later took a back seat to his work in the publishing and healthcare industries. Holzman received degrees in literature from Swarthmore College and The University of Chicago, and an MBA from The University of Chicago. A resident of Chicago since graduating college, Holzman began to practice art seriously about 15 years ago when he enrolled in the Art Institute of Chicago's continuing education program. Very soon his long-dormant love of painting eclipsed other interests, and he resolved to develop his hobby into a vocation. 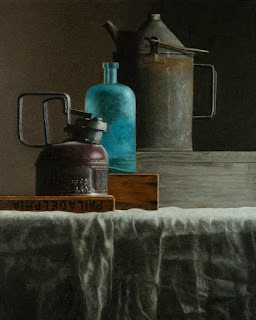 In the years since, Holzman's award-winning still life paintings have been included in numerous solo, group and invitational exhibitions in galleries and museums in Chicago, the Midwest region, Santa Fe and Atlanta. His paintings are in many private and museum collections, both domestic and foreign.